Blurb Description: When Rona Blackburn landed on Anathema Island more than a century ago, her otherworldly skills might have benefited friendlier neighbors. Instead, guilt and fear led the island’s original eight settlers to burn “the witch” out of her home. So Rona invoked the privileges of a witch; she cursed them. But such a spell always comes with a terrible price, and in punishing the island's residents, Rona also bound her family ever tighter to them. A storm is coming. It's coming for Nor. I LOVE DARK AND TWISTY BOOKS WITH MAGIC AND WITCHES AND CONSEQUENCES AND FAMILY AND I ABSOLUTELY LOVED The Price Guide to the Occult. I wasn’t sure what to expect going into this book. The Strange and Beautiful Sorrows of Ava Lavender: though it was a lyrical, charming book that had a lot of filler and TOO MUCH LYRICISM? I was very excited for it and enjoyed it at the time, but, looking back, I wish it had been more. I had hoped that that wasn’t going to be the case for The Price Guide to the Occult as well. 1. I fell in love with Leslye Walton’s writing style all over again in her second book. It was dark and twisty, and I know I say that a lot, but book in the morally grey area are my FAVOURITE. 2. I absolutely loved the PLOT of this book. The Blackburn Daughters across generations and their powers. I LOVED Rona, Judd and Nor Blackburn’s stories. I also liked Fern’s story and the way she was written. 3. I ADORE books about magic, witches and ESPECIALLY, black magic. I loved discovering Nor’s different abilities with her, as well as her romance with Reed Silvera and her infallible friendship with her best friend. I loved her Grandmother, Judd, and her wife, Apothia too. 4. 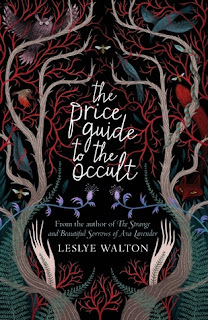 Honestly, it’s very hard to describe The Price Guide to the Occult purely because of how immersive and beautifully written it was. I was pulled into life on a tiny island and immersed into the culture of the nine founding families and magic and I LOVED THE ENTIRE EXPERIENCE. Would I Recommend this book?! – DEFINITELY. GET YOUR PRE-ORDERS IN ALREADY. A lyrical, dark, and twisty book filled with magic, family, and accepting yourself that is honestly such a joy to read! 4.5 stars. Leslye Walton was born in the Pacific Northwest. Perhaps because of this, Leslye has developed a strange kinship with the daffodil--she too can only achieve beauty after a long, cold sulk in the rain. Her debut novel, THE STRANGE AND BEAUTIFUL SORROWS OF AVA LAVENDER, was inspired by a particularly long sulk in a particularly cold rainstorm spent pondering the logic, or rather, lack thereof, in love. Leslye is a full-time writer living in Seattle, Washington. She spends her time eating chocolate cupcakes, and doting on her chihuahuas, Mr. Darcy and Doc Holliday. 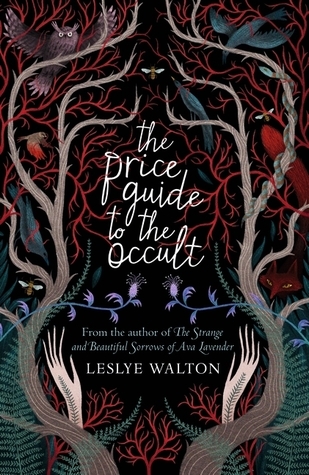 Her next novel, THE PRICE GUIDE TO THE OCCULT, is set to be published in March 2018. WHAT ARE SOME OF YOUR FAVOURITES BOOKS ON WITCHES? 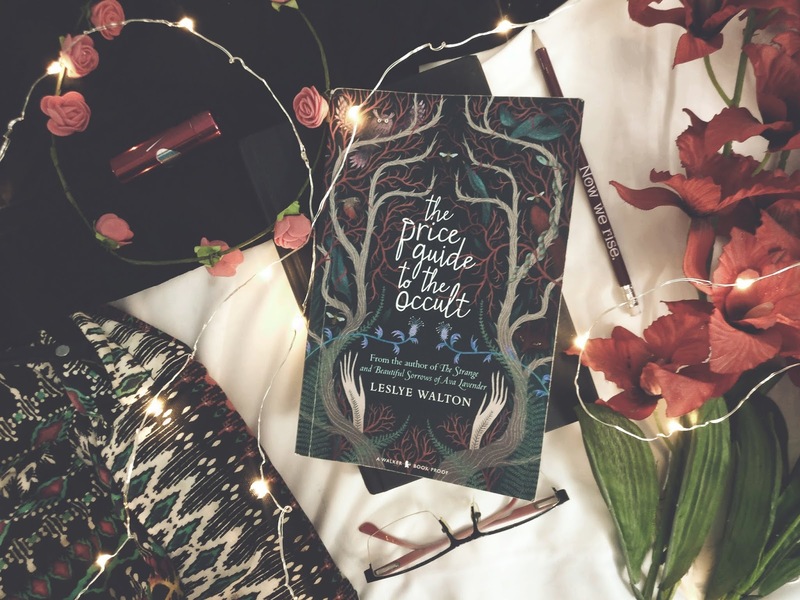 Have you read either of Leslye Walton's books? What do you think of them?